FIFA 2018: The Argentina National Football Team represents Argentina in football and is manaed by Argentina Football Association, the governing body of Argentina for football. The White and Sky Blue, The Albiceleste are the nicknames given to the team. Argentina‘s home ground is Antonio Vespucio Liberti in Beunos Aires. The Argentina National Football Team played its first international match in 16 May, 1901. 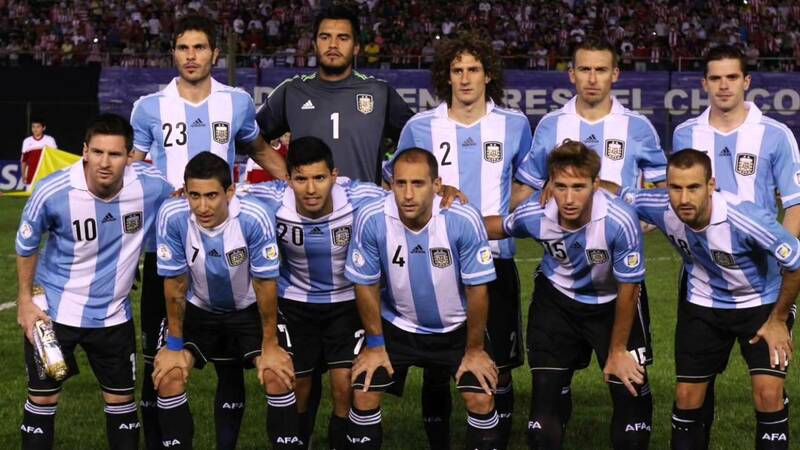 Lionel Messi is the team captain and Jorge Sampaoli is the head coach of the team. Argentina has won 14 Copa America matches winning extra South America Championships in 1941, 1945 and 1946. In 192, the team had won FIFA Confederations Cup. The team is in Group D in FIFA World Cups. In 1993, Argentina won Artemio Franchi Trophy. Argentina also won the Olympics football tournament in Athens(2004) and Beijing(2008). Argentina, Brazil, Germany and France are the only national teams that won the three most important men’s title recognized by FIFA World Cup, FIFA Confederations Cup and the Olympics tournament. I hope you find a brief information of Argentina FIFA 2018 Team or Poland provisional squad and their records on our site. You can check more FIFA 2018 Teams squad on our website. Stay connected with our website- www.fifahub.com for more updates. If you like the post then share it with your friends. Stay connected with our site.